LET'S WORK TOGETHER IN YOUR NEW PROJECT! 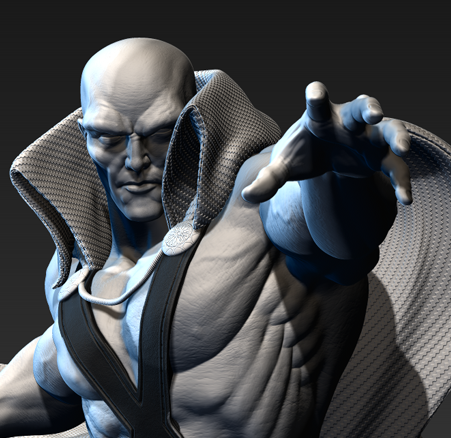 When creating a 3D sculpture character we always start from an idea but also we must know him. This is achieved through the literary creation of the same, defining the character goals, fears and history. Once we knoe what we want to create, it’s time to look aesthetic references that help us define the character. 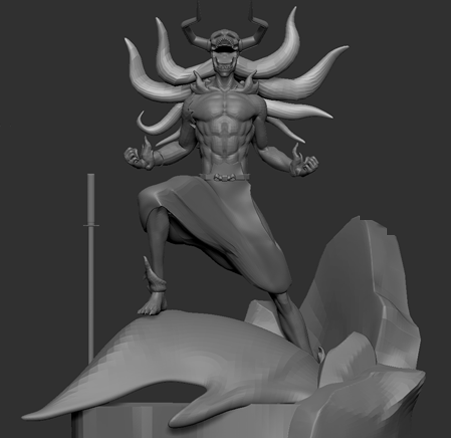 Through this search we can make the Concept Art, this can either be a 2D illustrated sketch or directly a basic 3D sculpture that will help us know if our creation works. Taking into account the specifications and requirements of the project, we can start working on an attractive pose. The different elements, such as weapons or clothing, become part of a composition able to transmit and tell their story. From the beginning of the project we work paying special attention to its later printing. 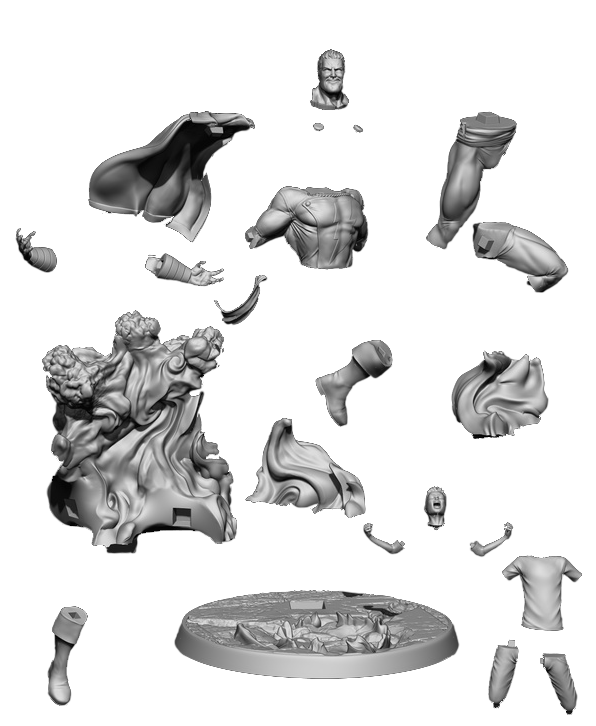 Each model is developed thinking about the features that will show once printed, such as its size. In this way, we get the level and depth of detail you need on it to be visible, no matter its size. In case of a figure with interchangeable parts, such as two different heads, we will take into account the pose and rotation of the moving parts while modeling. Optimized projects for printing, whatever their size. Models with cuts and anchors for subsequent production. 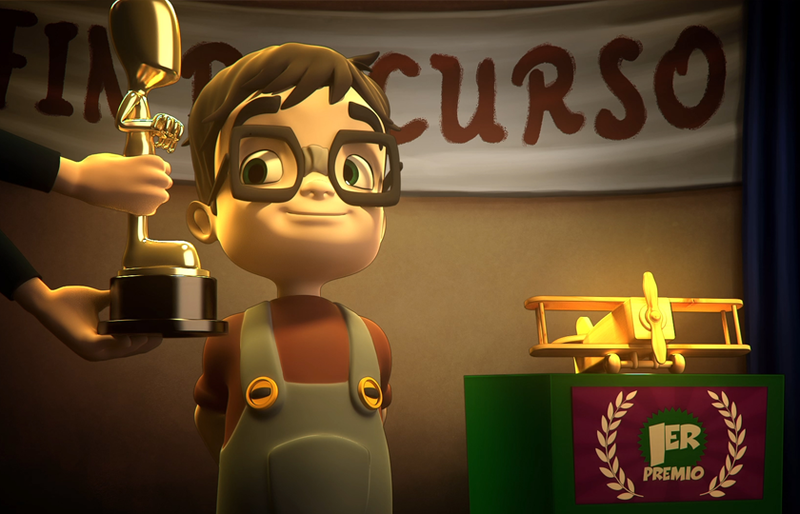 In animation it is vital that the characters can move naturally and without deformation. To do this, it is essential to get a mesh with a proper distribution of polygons. 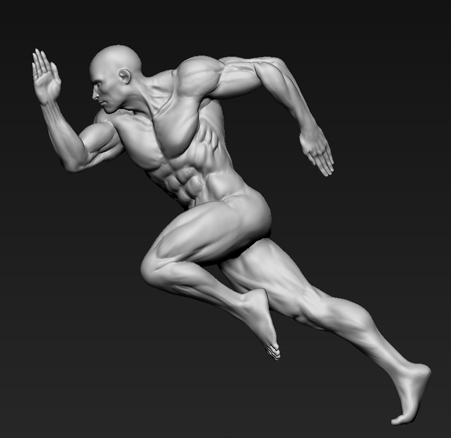 For your animations, we offer optimized and tested models that look alive in each pose. Meshes with edges distributed optimally for animation. Meshes with a good deformation. 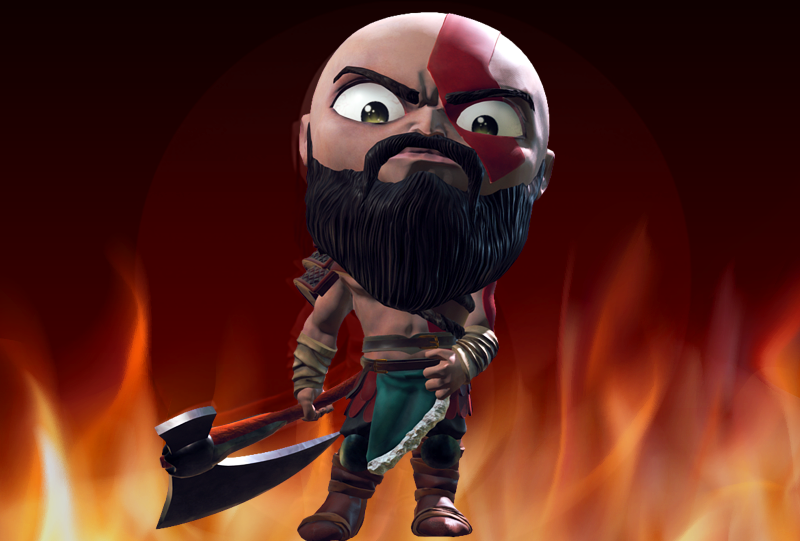 Welcome to the Low Poly world, or low polygonization: video games. Video games require low polygon characters to encourage them in real time, but not without details. With us, all your models will carry projected texture details ready for any adventure. Optimized models for real-time animation. Characters with high level of detail. Textures with details projected on them. Even if we like something watched, behind a screen we lose the excitement it feels when you have it in your hands. The possibility to touch your characters, as miniatures or figures, is a new revolution with 3D printers. 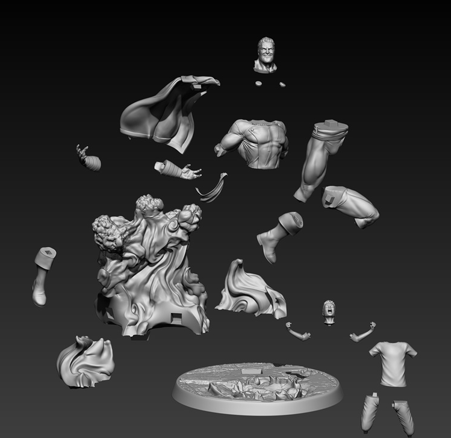 In order to print a modelled character we must pay attention to the different pieces it will have and how it will be cut and, once done, it will be assembled. All parts and elements will be modelled according to its position on the final printout. Cuts and anchors are also very important for 3D printing, as they will depend on the model. Those will be rejoined without making the cuts too noticeable, producing a stable figure. 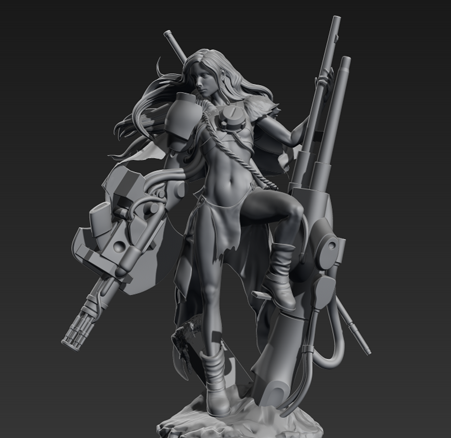 Keeping all this in mind, we assure that the work of 3D sculpture that we make will be fully prepared for later printing and production. It is clear that every project always starts with an idea. Then this idea develops into the concept art, which will work as a starting point when creating a sculpture in 3D. Thanks to our workflow we can develop the artistic concept, which will define all the details, while we decide the pose and composition more attractive to the final public. If you’ve always wanted that idea into your mind to come to life, we will guide you throughout the 2D and 3D concept process. A pose is often the most worth detail, and for this reason we dedicate all our energies to achieve the higher charisma of the character in the most attractive way possible. In this phase, we offer our customers different fast options, so they can compare get an idea to achieve the perfect pose. Done! 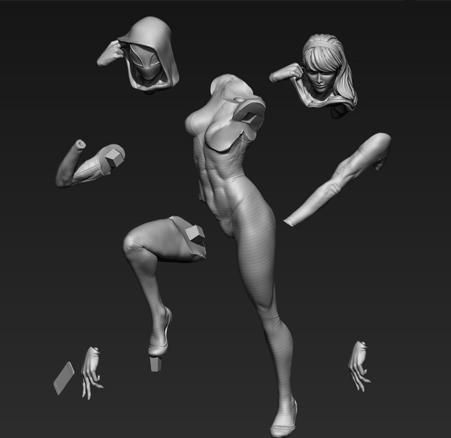 We can see our posing character, which gives us an idea of how the finished model will be once finished. It’s time to get a good anatomy in all its details, without forgetting what we consider one of the most important aspects at this stage: its features and facial expression. You may decide you want to do the face of a famous actor or your own… No problem! Everything is possible with dedication and good references. Not everything is organic sculpture. 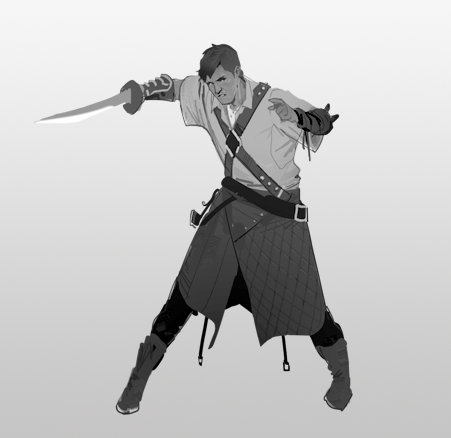 In addition to the anatomy there are other elements that help us tell the story of the character as clothing, accessories, weapons and environment. At this stage we try the non organic components of the composition to enhance the figure. To achieve this, the first thing is to find the basic volumes and the proper position for each element defined in the artistic concept. Once you have selected elements of a basic form, we must work each of them to make them meticulously detailed pieces. To do this, we will consider the nature of the model, such as its scale mass production, or export to render in real time. Let’s go a step further and go up the level. Our project is finished. It’s time to prepare it for 3D printing. We’ll talk with the manufacturer to make sure everything is properly organized for production, adapting ourselves in each case to the working mode of the manufacturer. Given our experience we can provide different solutions to ensure the highest quality of the final product. DO YOU HAVE ANY QUESTIONS OR YOU WANT TO KNOW MORE? If you’re thinking of starting a project but still have doubts about it, do not hesitate to ask.